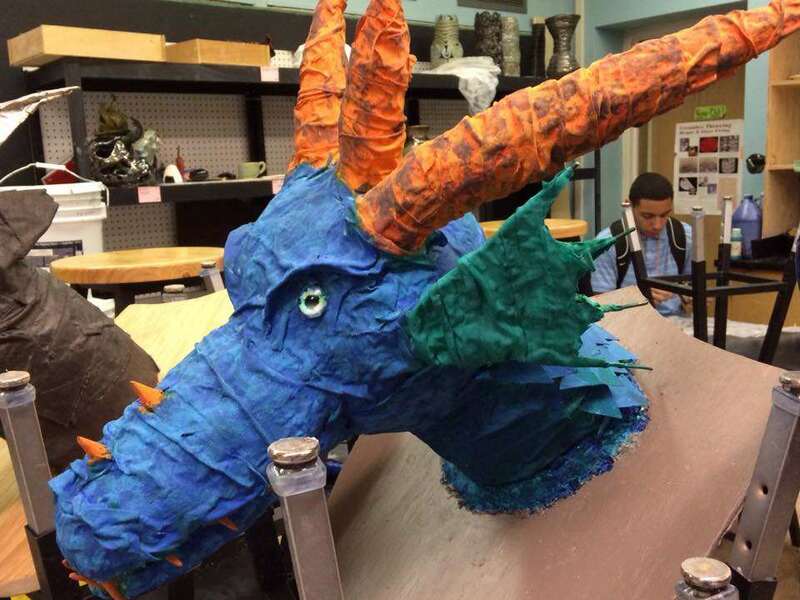 I love it when kids do paper mache art. 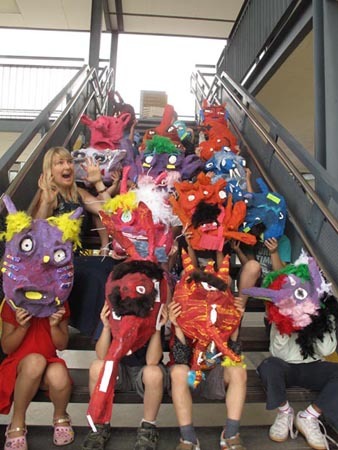 The teachers who do it with kids are saints in my book. 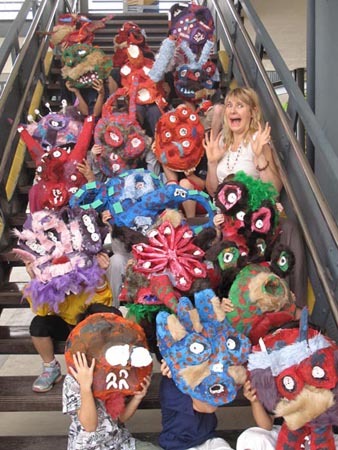 I know how hard (and messy) it is to lead a class of kids through a paper mache unit. 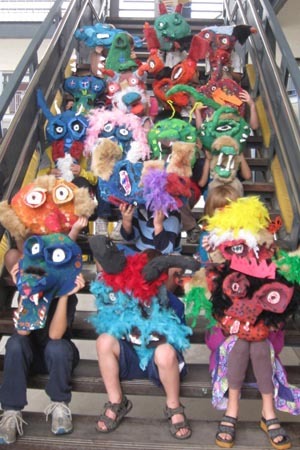 But the kids love it, and I think the experience does wonders for their artistic self-awareness. 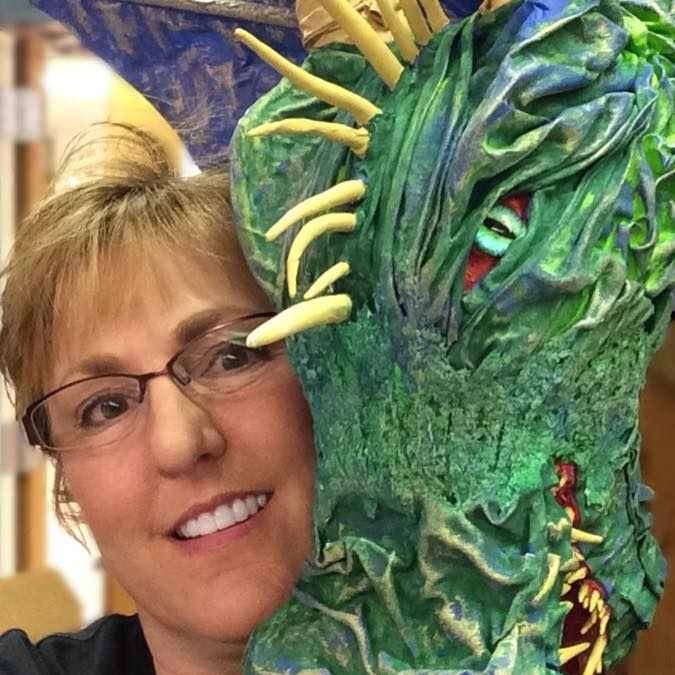 Kathy Nelson is an art teacher in Texas. 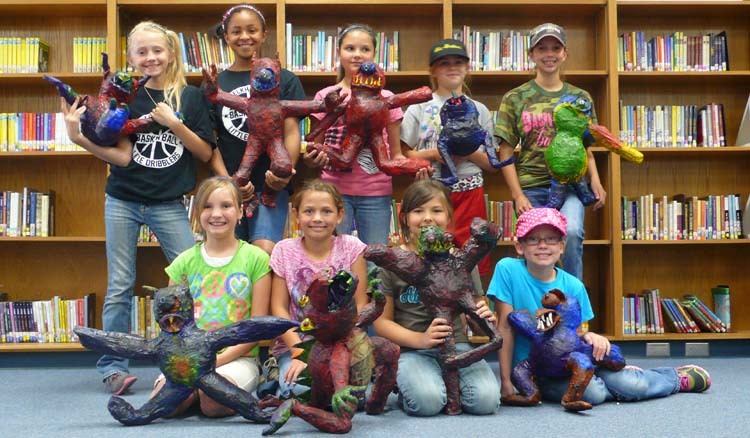 She had her kids making paper and cloth mache projects. Of course she made one for herself! We’ll start with that one (along with Kathy). Fantastic! Here’s a shot of the whole creature. 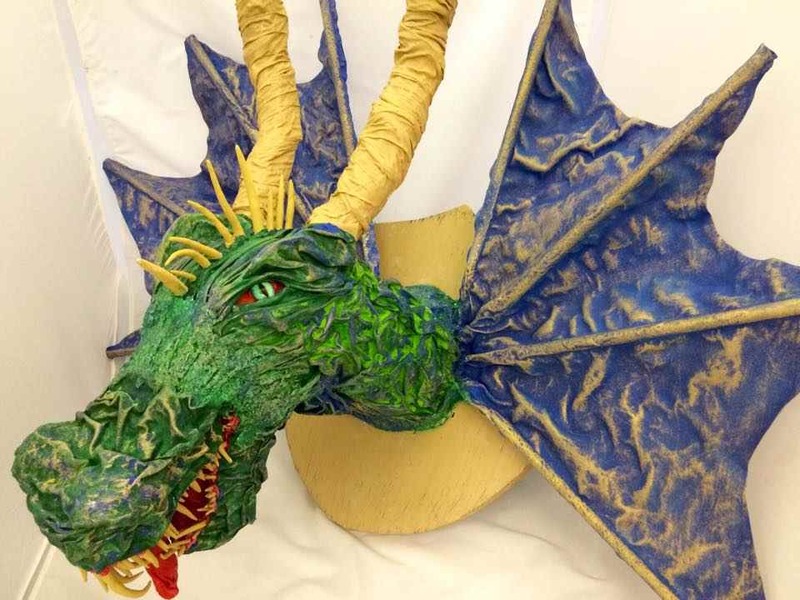 Here is another paper mache trophy made by one of Kathy’s students. Dramatic! 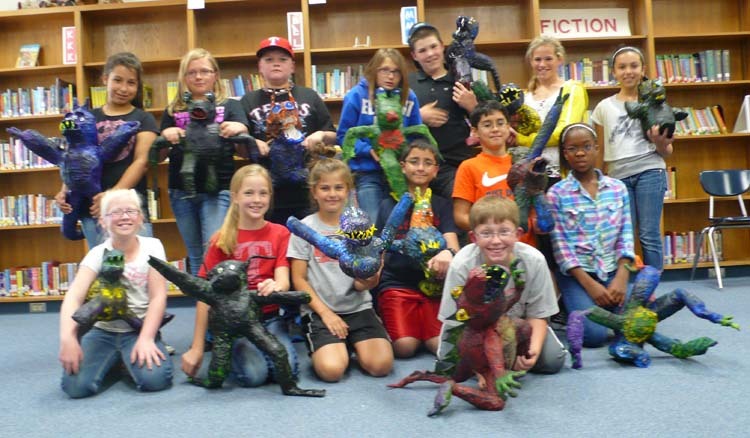 And look at these cool little creatures from Kathy’s class! Aren’t babies cute! 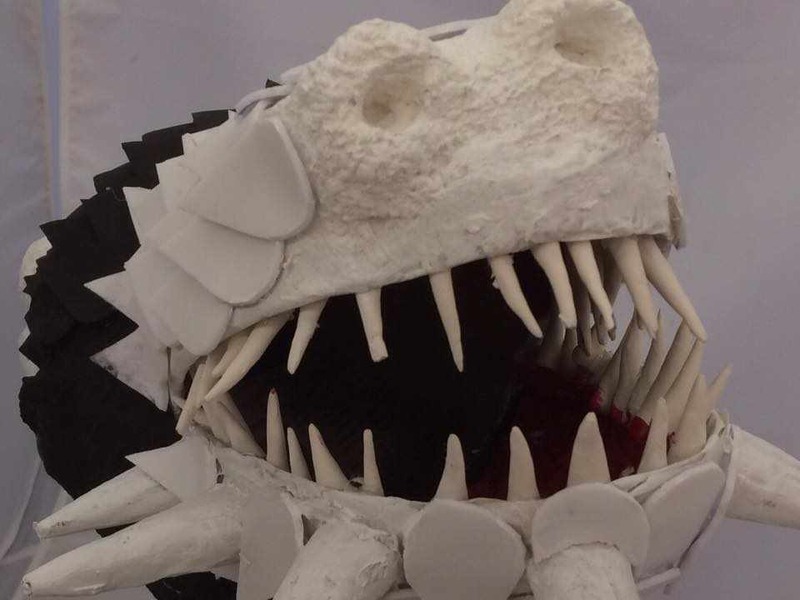 And here is a beautiful mouth from one of the kid’s projects. 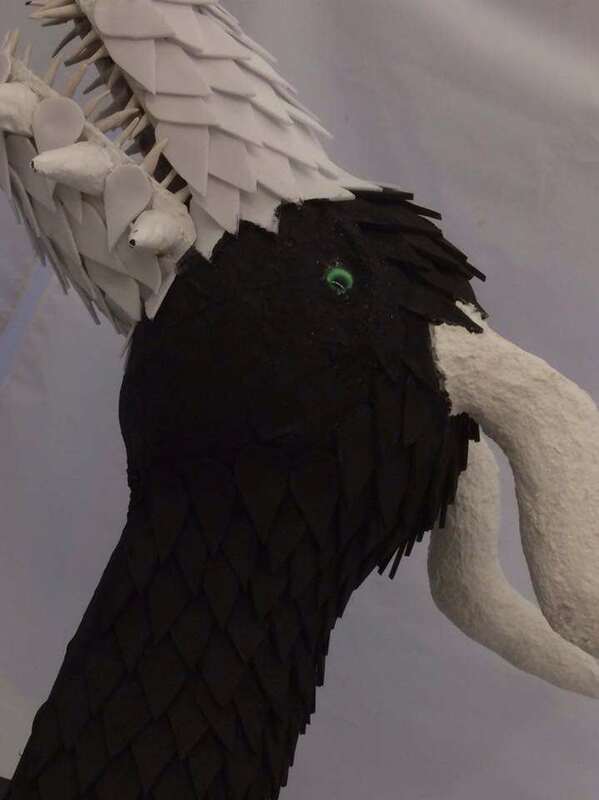 Along with a paper mache bird-like beast. Excellent! 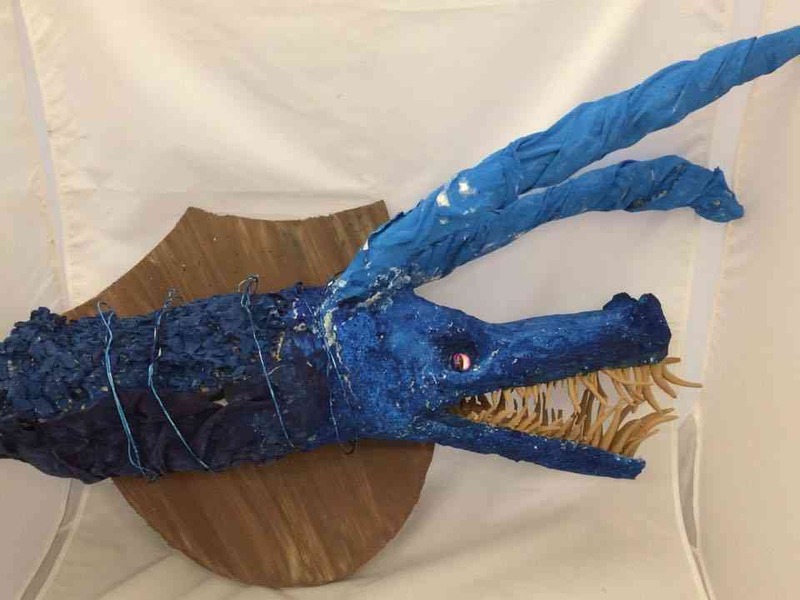 Another student in Kathy’s class made this monster on a plaque. Check out that mouth full of teeth! 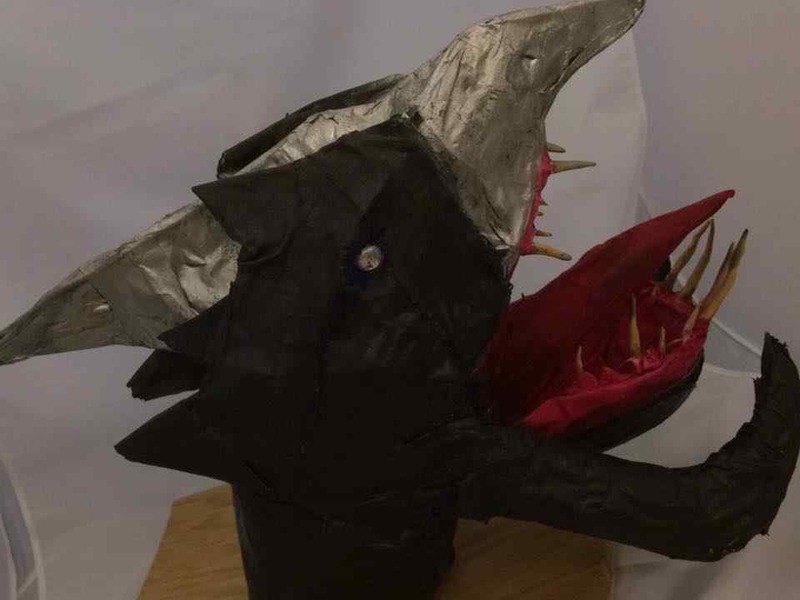 And another great monster from Kathy’s class. 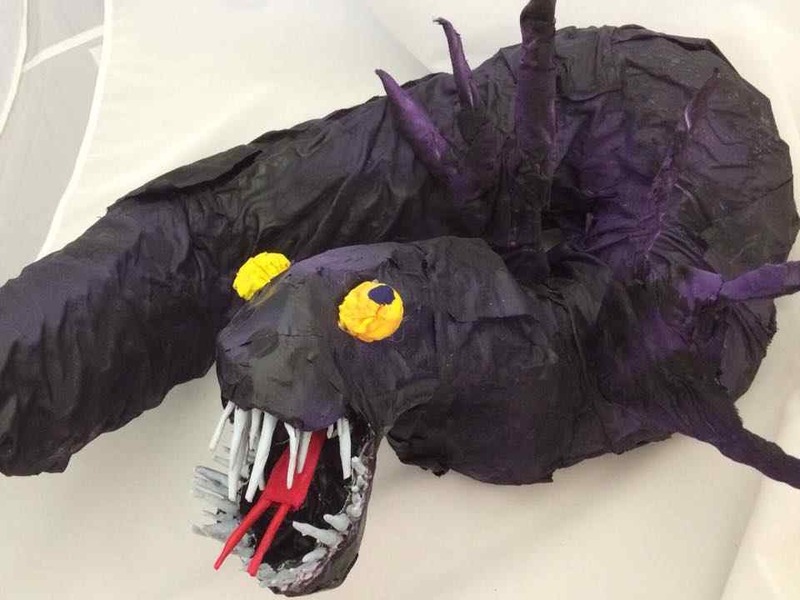 Finally, a really cool paper mache snake-like beast made by one of Kathy’s high school kids. Magnificent! 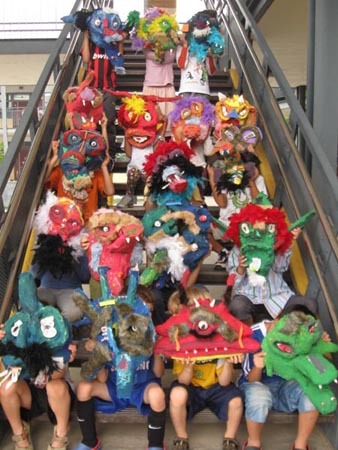 Andrea De Luca, a teacher at Fata Carabine Center in Geneva, Italy, had her students make these masks. Wonderful! 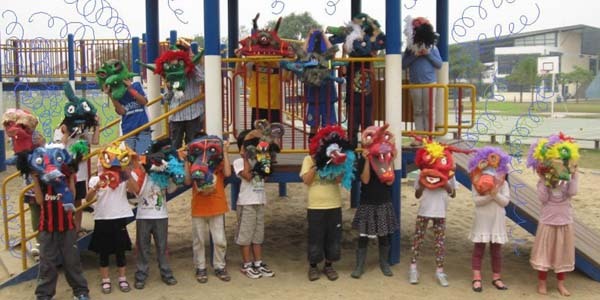 And more on the playground. 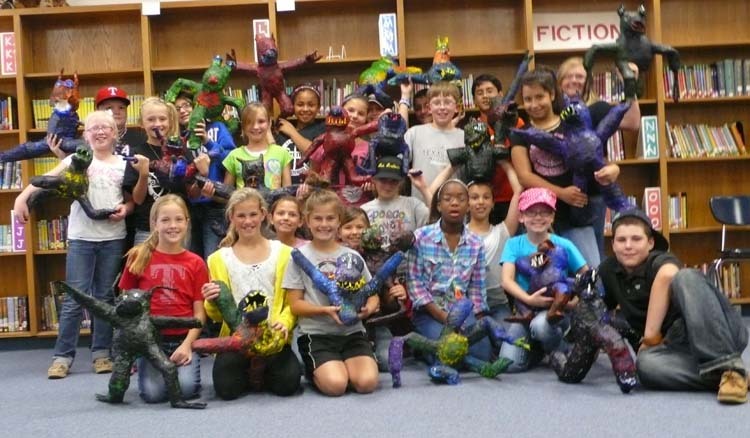 Another teacher friend of mine, Pat Rainey (can you find Pat? 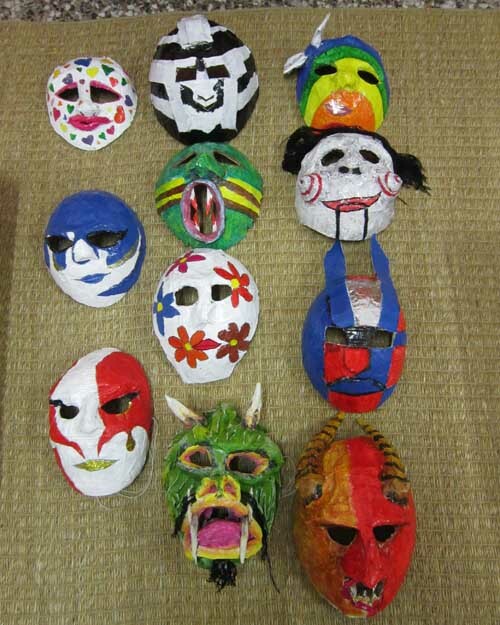 ), does a paper mache “Screamer” unit with her students. 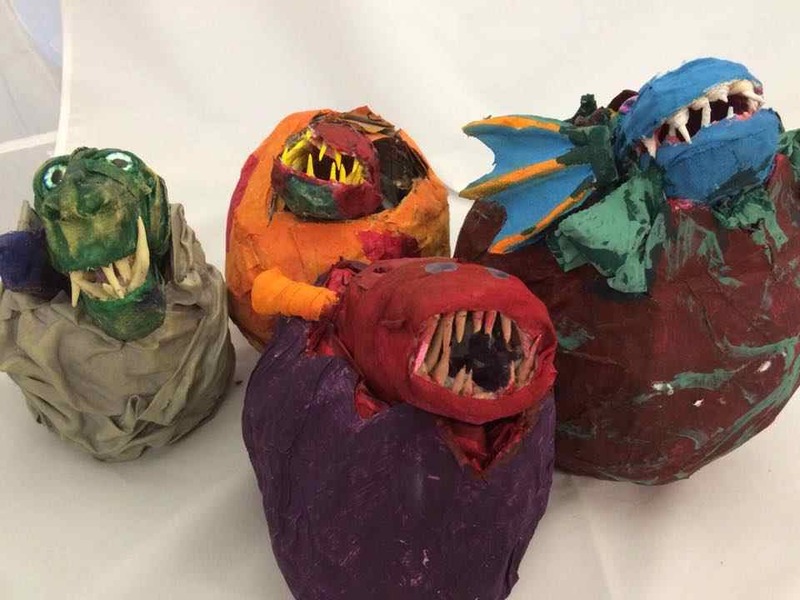 Here are here little monsters! Adorable!